Well not actually, but I was at the friends of James Beard Foundation's benefit the day before the announcement of the Louisiana chef nominees. I have been to a lot of chef benefit functions. 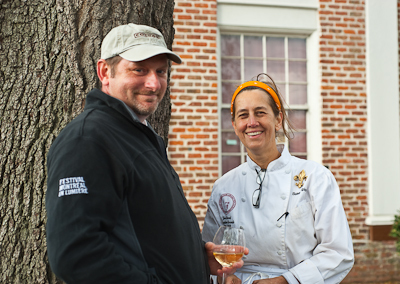 This one, held at the Kingsley House, had almost every great chef in New Orleans. Susan Spicer, Frank Brigtsen, Tory McPhail, John Besh, Adolfo Garcia, Scott Boswell, Andrea Apuzzo, Darin Nesbit, and many more. My stomach growls just thinking about it! Below are a few photos.